Live-in care or care home? Caring for adults in their own homes is not just another job. We want carers who have a caring and empathetic attitude and who really want to make a difference to people's lives. Having the right staff is of fundamental importance to us. 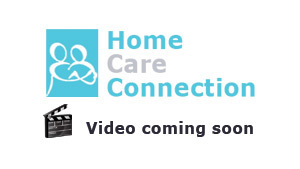 They become part of The Home Care Connection family. Our care staff must be prepared to live-in with clients. 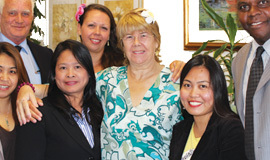 They are drawn from a variety of diverse national and cultural backgrounds. What they have in common is their commitment to ongoing training and to providing personalised and high quality care. Social care experience is desirable as is a qualification in care. 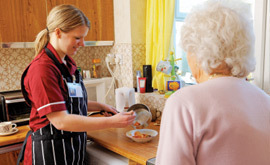 Less experienced and qualified staff are often deployed initially with a senior live-in carer who can act as a monitor. We regularly assess the competency of our care staff and identify their needs for further training. Training is arranged by us and staff are expected to attend the recommended training. No carer will be placed in any live-in care situation which requires skills and/or training which is beyond their level of competence.